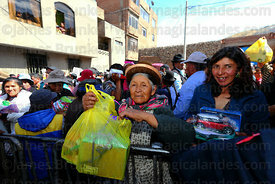 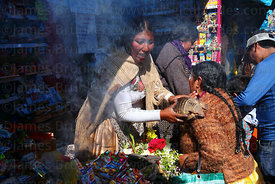 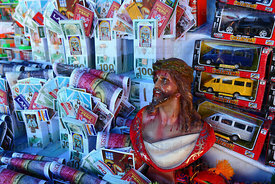 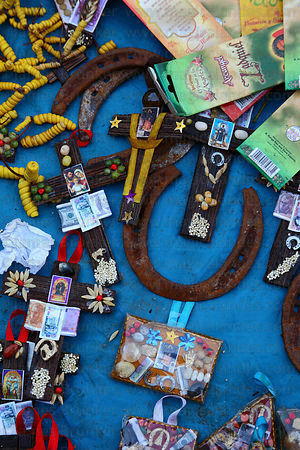 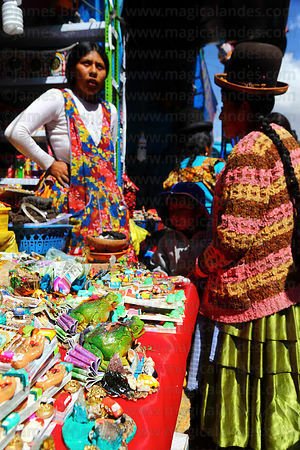 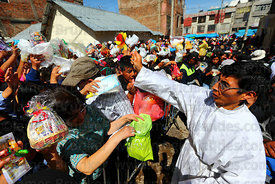 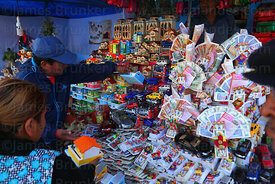 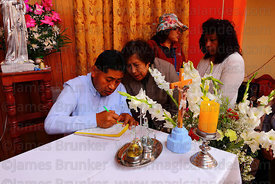 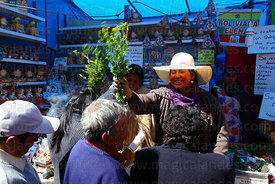 The Alasitas Fair (or Feria de las Alasitas) is a festival celebrated in altiplano regions (it is particularly associated with La Paz in Bolivia, where it takes place at the end of January). 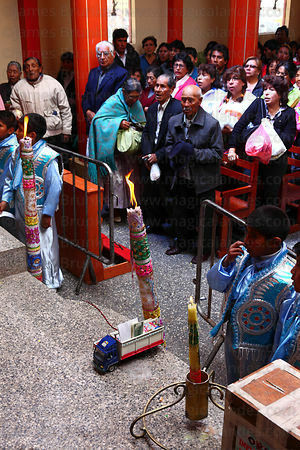 A similar but smaller festival is held in Puno, Peru on 3rd May, the same date as the Fiesta de la Cruz / Festival of the Cross. 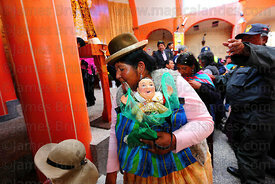 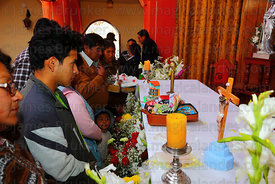 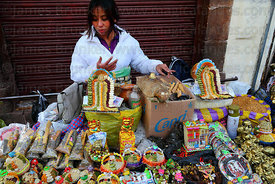 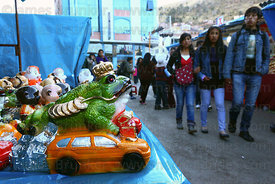 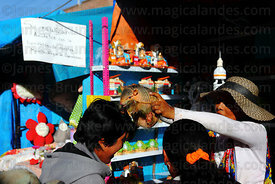 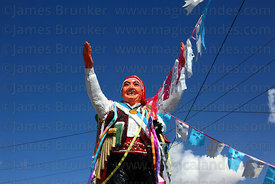 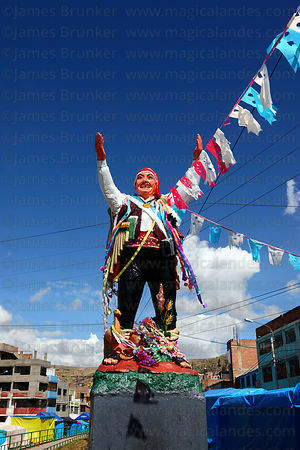 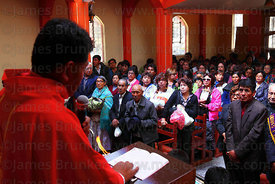 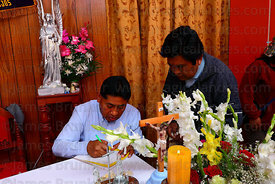 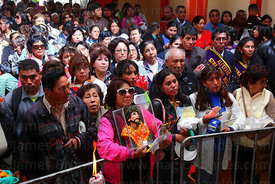 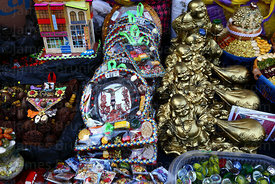 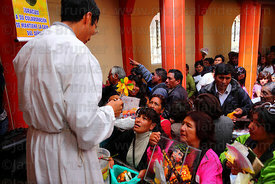 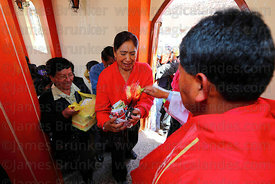 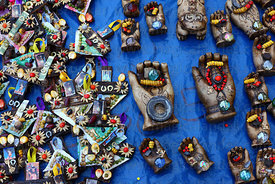 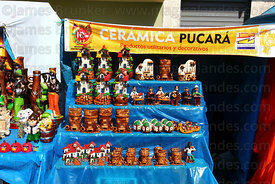 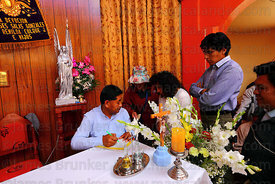 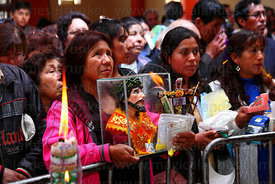 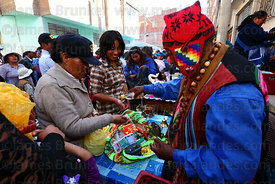 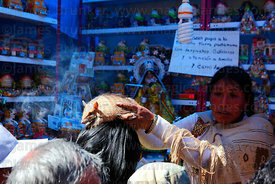 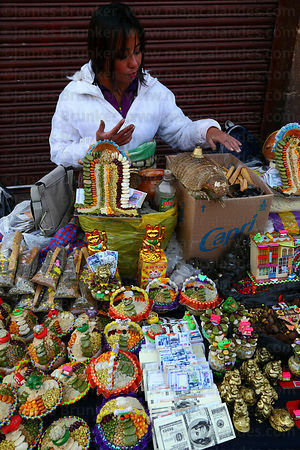 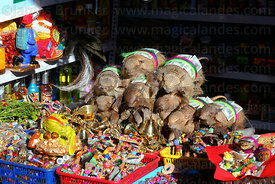 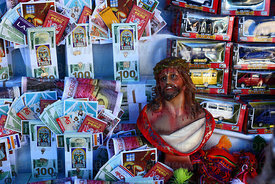 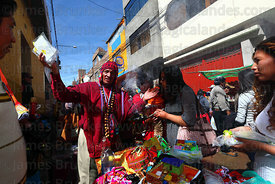 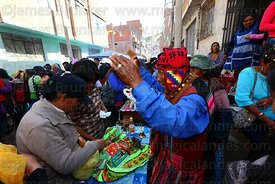 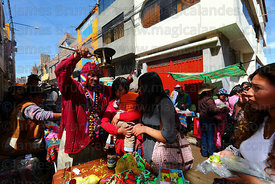 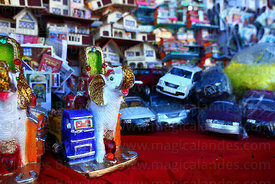 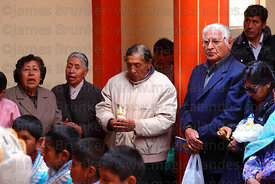 The festival honours the Ekeko, the Aymara god of abundance. 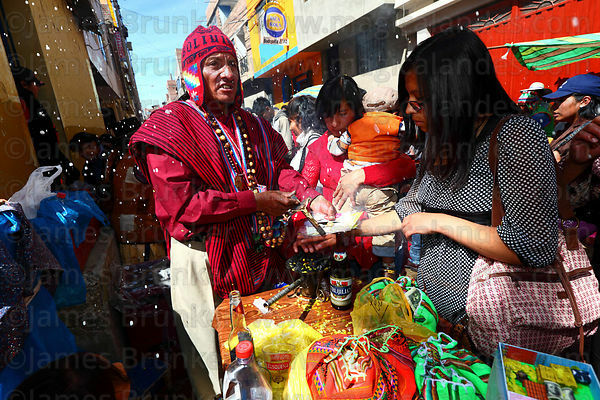 It has ancient origins - the Aymara people would perform rituals and offer miniatures to their gods to ask for abundant crops. 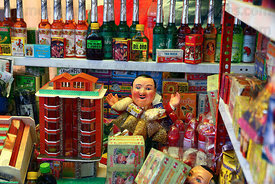 The tradition has grown over time and miniatures of a whole range of items are now available. 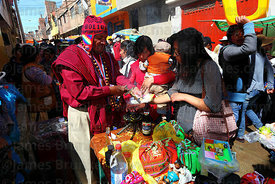 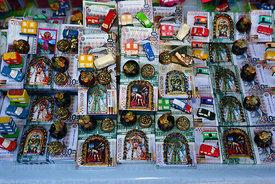 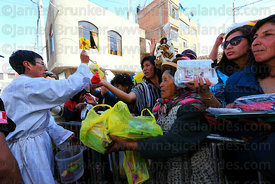 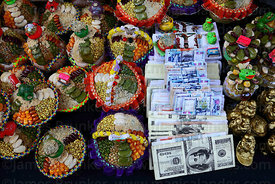 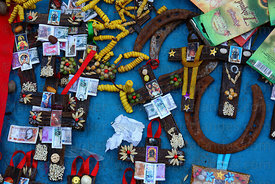 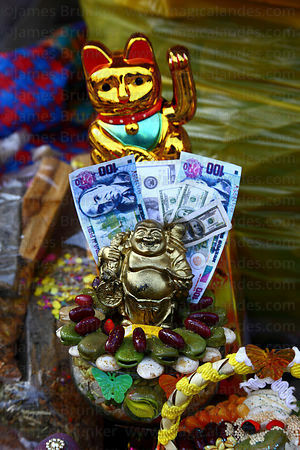 Believers have their purchases blessed by shamans and Catholic priests, the idea being that the full sized version will be received during the coming year.